The Padmaja Naidu Himalayan Zoological Park (PNHZP) today celebrated the World Environment Day on the theme “Zero Tolerance to Wildlife Trade”. The programme, which concluded just recently, was participated by 71 students and 13 teachers from Lower Aloobari Primary School, Darjeeling. The students were taken for a zoo visit by Mr. Bhupen Roka, Education Officer and Ph.D scholar of the Park. 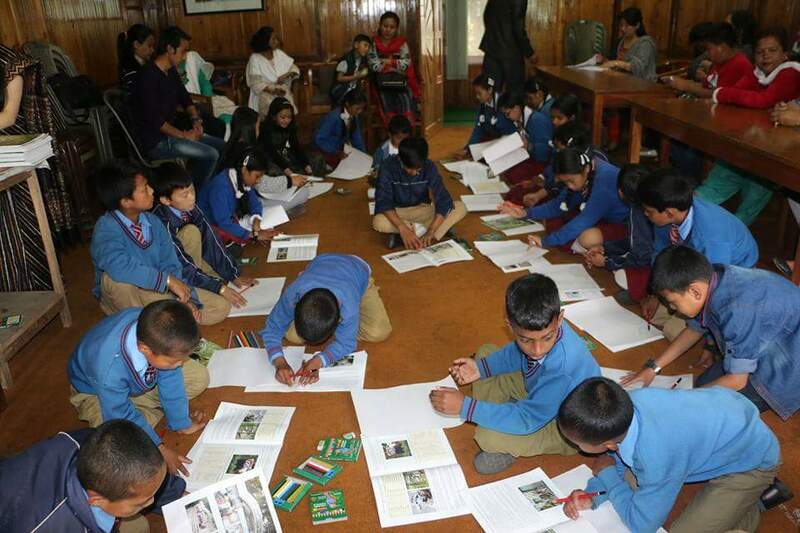 The students and the teachers were sensitized about the endangered species that PNHZP houses, their status, and how the animals like snow leopard, common leopard, lesser carnivores are being used in wildlife trade and the various efforts the Park is putting in towards its conservation. The visit was later followed by a painting competition and prize distribution ceremony. Mr. Purna Ghishing, Animal Supervisor, Mr. Siddartha Chettri, Asst. Estate Supervisor and Ms. Upashna Rai, Zoo Biologist participated and attented the programme. Mr. Pravat Rai stood first, while Mr. Pemsang Tamang bagged second position. In order to encourage the students, educational materials and kits were also distributed to the students and teachers. The Padmaja Naidu Himalayan Zoological Park (PNHZP) today celebrated the World Environment Day on the theme “Zero Tolerance to Wildlife Trade”. The programme, which concluded just recently, was participated by 71 students and 13 teachers from Lower Aloobari Primary School, Darjeeling.